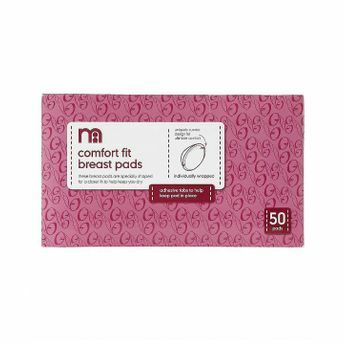 Mothercare Comfort Fit Breast Pads sit discreetly under your bra and have an extra absorbent layer that keeps leaks away from your skin and clothes, and also helps in preventing chafing or soreness. The adhesive tabs help keep the pads firmly in place so you won't need to worry about little accidents. Each pad is individually wrapped for hygiene, so you can take them with you in your bag wherever you go.